The Atelier Journey Collection by Stanton brings a striking new vigor to classic looks with highly textured cut and loop nylon fiber. 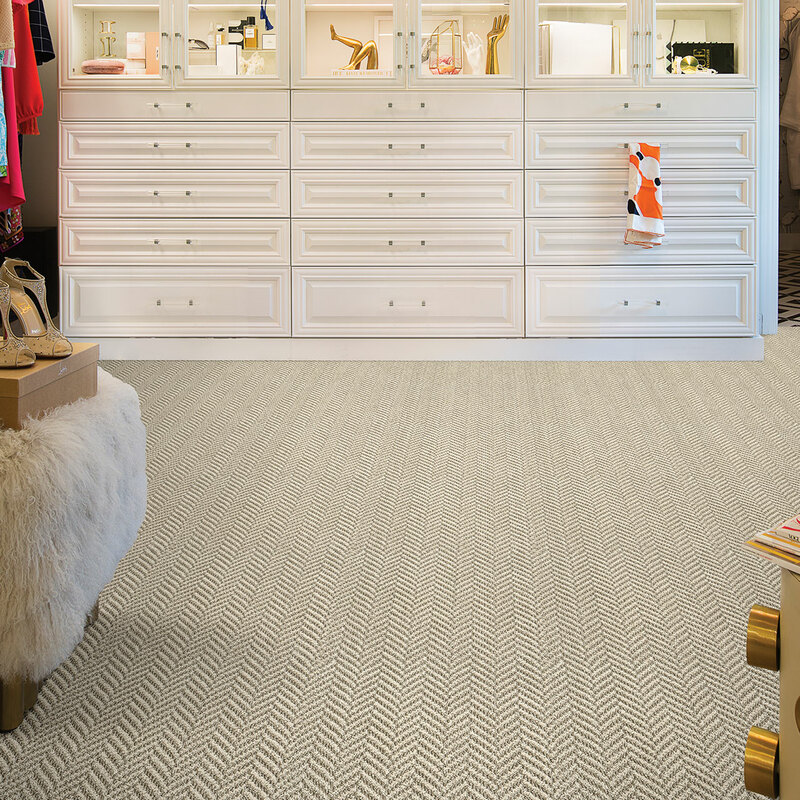 A timeless herringbone pattern, Bravo adds a fresh take on a traditional pattern. Contrasting hues add an exciting dimension. Fanfare captures the eye through an intersecting composition of crosshatched lines and angles. Tribute lush checker board pattern catches the eye and extends dimensions of any room. All three designs are available as custom-sized rugs as well as wall-to-wall installations in neutral color palettes to complement any interior.